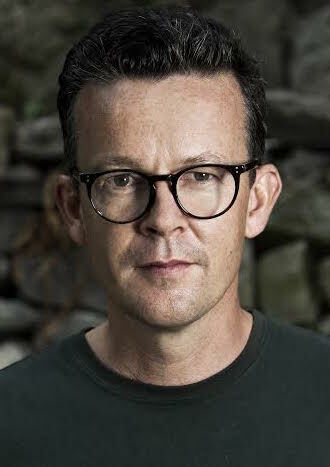 Enda Walsh is a Tony and multi award-winning Irish playwright and director. His recent work includes Grief Is The Thing With Feathers (2018) produced by Complicite and Wayward; the opera The Second Violinist (2017) produced by Wide Open Opera and Landmark Productions; The Same (2017), produced by Corcadorca, Lazarus (2016) with David Bowie; Arlington (2016), Ballyturk (2014), Misterman (2012) produced by Landmark Productions and Galway International Arts Festival; the opera The Last Hotel (2015) for Wide Open Opera and Landmark Productions. His other plays include (Once) 2011 ; Penelope (2010), The New Electric Ballroom (2009), and The Walworth Farce (2006) with Druid Theatre Company; Chatroom (2005) with the National Theatre; The Small Things (2005) with Paines Plough; Bedbound (2000) with Dublin Theatre Festival; and Disco Pigs (1996) with Corcadorca. For the past 10 years he has been supported and shown work at St. Ann’s Warehouse in New York. He has made four installation ‘Rooms ‘ with Paul Fahy and the GIAF: Room 303, A Girl ‘s Bedroom, A Kitchen and Bathroom. His film work includes Disco Pigs for Temple Films and Renaissance; and Hunger for Blast and FILM4; and The Last Hotel which was made into a film for Sky Arts, produced by Brink Films, Landmark Productions and Wide Open Opera. In 2014, he received an honorary doctorate from NUI Galway.